Healthcare insurance is not the same as a medical scheme. Nobody wants to think about serious disease and accidents. However, it is a fact that anything can happen and that everybody is subject to sudden calamities. If this happens, the certainty that the very best medical care is available is at least a consolation. There can be nothing worse than seeing a loved one denied urgent care and access to the best facilities. Hospital plans do not make provision for day-to-day medical expenses. They provide cover for hospitalization and the cost of procedures whilst in hospital. Members will therefore have to pay for regular visits to the doctor or dentist. And they then have to carry the cost of out-of-hospital medication. 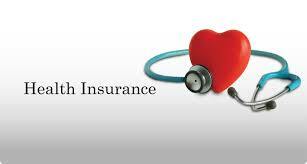 What is healthcare insurance and what does it cover? There are many plans available and the benefits offered to members vary, depending on the various medical aids. The main purpose of a hospital plan is to make provision for the cost of hospitalization and the cost of treatment whilst in hospital. This cover includes the charges of specialists and surgeons. These plans also cover the cost of medication while in the hospital. Some plans make provision for take-home medicine after discharge from the hospital but only for a short period. The cost of further medication is for the pocket of the member. A few plans also offer trauma counselling and some even provide for emergency treatment at a casualty unit. Some plans require members to make use of specified hospitals and in most cases prior approval must be obtained from the scheme before admittance to the hospital. Some plans will pay the cost of hospitalization directly to the hospital and others pay the member a specified amount for each day spent in hospital. This amount may or may not cover the cost of the treatment and members should be very careful to make sure that the plan that they choose will make adequate provision for their needs when a calamity strikes. What is healthcare insurance and is it affordable? Consider the services of a medical aid broker. These professionals are best able to provide advice and to help families choose a plan that will cover their unique needs. It may be useful to obtain a professional medical assessment for each member of the family. In this way the needs of the family can be defined and such an assessment provides a very good indication regarding the type of cover that would be best for the family. Use the internet to obtain comparative quotations from a wide variety of schemes. It is important, however, to compare apples with apples. The benefits offered by the various plans are not all the same. It is better to choose a plan that can be upgraded at a later stage as circumstances and the needs of the family change.